At Calvary Wakefield we offer Surgical procedures for patients requiring either day surgery or overnight stay. 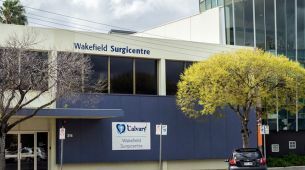 Depending on the kind of surgery needed, your surgery may occur at either the Calvary Wakefield Hospital or at the Calvary Wakefield Surgicentre across the road. Planned surgery usually follows consultation and treatment by your GP and specialist. From either of these you will be referred to an appropriate surgeon. 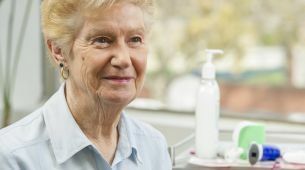 Your surgeon will discuss surgical and other options with you, and if you agree to have a surgical procedure the surgeon will forward the appropriate documentation to the Calvary Surgical Admissions Team. The urgency of your surgery, and the possible wait before your surgery is scheduled, is determined by your surgeon and advised to Calvary in the surgeon’s request for admission documents. If you have any concerns about the possible impact on your health and wellbeing caused by a possible delay, please raise those concerns with your surgeon. Unplanned surgery is performed on people who are admitted via the Emergency Department and who require immediate surgery to address their health emergency. For all surgical procedures you will be required to provide your Informed Consent for the surgery or procedure to be performed. In the event of emergency surgery, your nominated next-of-kin or Enduring Power of Attorney is able to provide consent on your behalf.